Children are never too young to come to church. At church we belong to one big family and we want you and your children to know you are all very welcome. 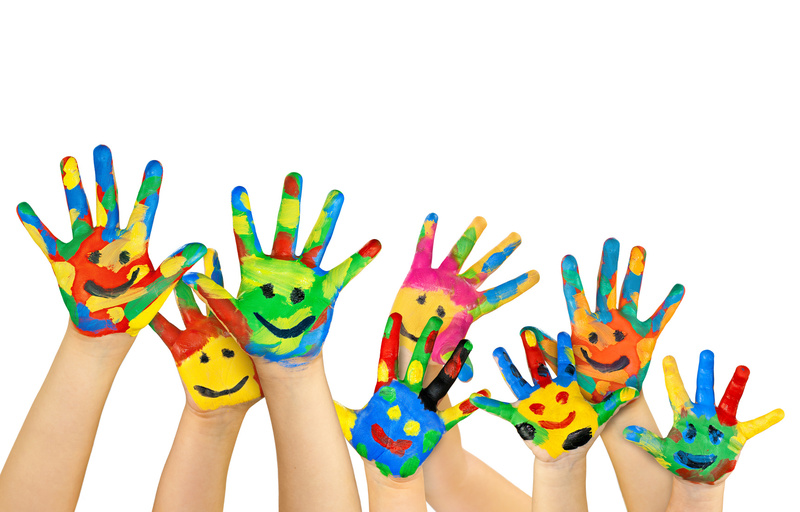 We try to make sure that children are welcome at all and any of our church services. 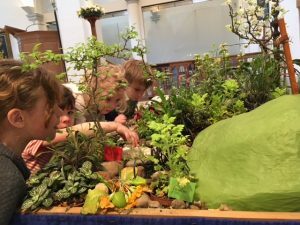 We run weekly age-appropriate clubs most weeks, and the first Sunday of the month is a Family Service, with no clubs and everyone in church together for a service designed to suit all ages. 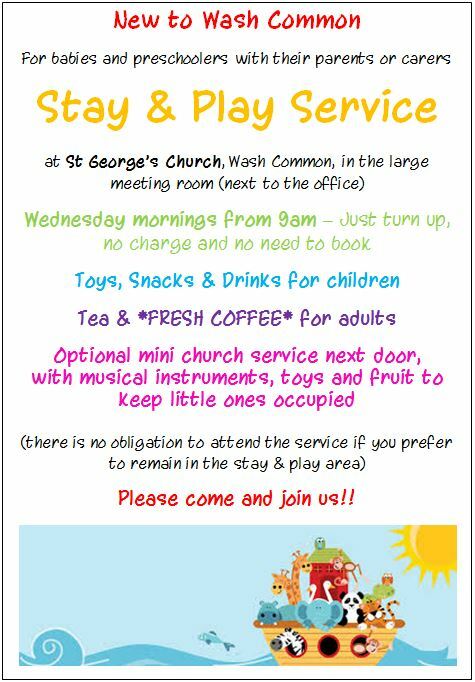 • During all services at St George’s, there is a toddler play area stocked with books and toys where you are welcome to sit with your children. You are of course equally welcome to borrow toys from the play area and sit with your children in a pew. • There is a small meeting room next to the toddler area that you are also welcome to make use of during the service. • Baby changing facilities are available in the disabled WC (by the office). • Our ‘Star Club’ Group (3-5) meets each week in the Upper Room during the first half of the Sunday 9.30am service (you are welcome to sit with your children whilst they get used to being in the Star Club). Star club is very informal and friendly, with bible stories, crafts and toys. • ‘Rising 5’ children are also very welcome to join our Sunday Club which also takes place during the Sunday 9.30am service. • Sunday Club runs from 9.25 am until the Communion part of the service, children enjoy lively activities, games, crafts and fun along a biblical theme before rejoining their parents in church for communion/blessing. A Sunday evening youth group for 11-18 year olds. Term-time Sundays at 7pm. For further details, please contact Terry Winrow. A playgroup for Tiddlers, Toddlers and their carers every term-time Monday afternoon (1.30pm-3pm) in St George’s Hall. This is a popular informal gathering which enables parents or carers to share fun and friends with their children. Craft activities such as sticking, playdough and cooking are always on offer. There is an excellent selection of toys, ranging from baby activity centres to bikes, so children from 0-5 can play in a safe environment. After refreshments of squash and biscuits for little ones and tea & coffee for parents and carers, there are action songs and musical instruments to close the session. Our weekly Wednesday 9.30am Eucharist is open to everyone and has a format that is particularly accessible and welcoming to parents and carers with small children. A café runs before and after the service next door in the Large Meeting Room of the annex. Further details can be found here. 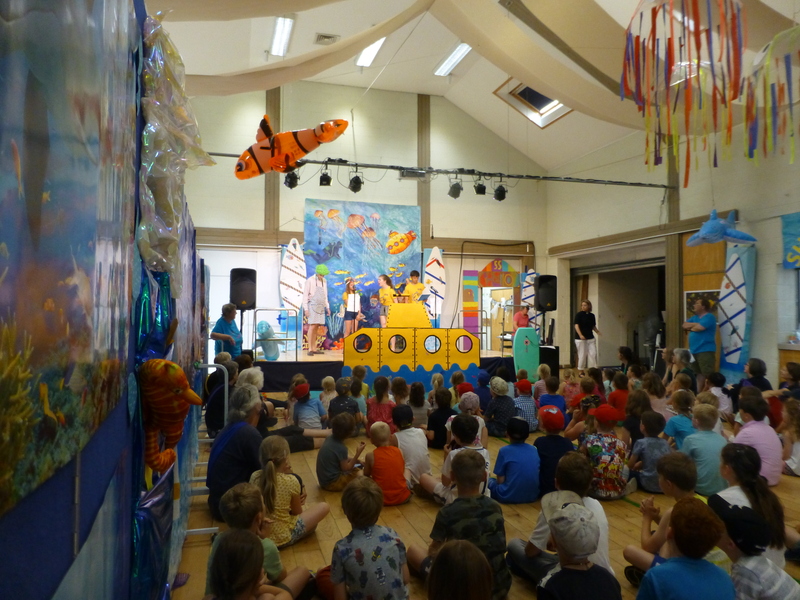 We hold a week-long summer Holiday Club for primary-school-aged children with five morning sessions. Each year’s Holiday Club has a different theme and is generally held during the first week of the school holidays. For further details please contact the Church Office. For regular Sunday and Weekday Services please see our Service Details page.